Haga clic aquípara acceder a nuestro catálogo online. 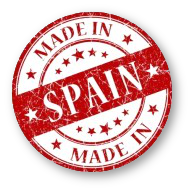 This company was born at the end of the 90s in Villena(Alicante), the cradle of the baby and children footwear. All our models are made of a first quality leather, bearing always in mind children needs. We work from size 16 (newborn baby) to size 39. In accordance with our best designers, we plan a new competitive and fashionable collection every season.